1 Cut white bread into thick strips and brush with olive oil. Toast the bread in a hot skillet until golden brown on both sides. 2 Cut the avocados in half lengthwise, remove the pits and scoop the flesh into a bowl. Mash the avocado with the garlic, lemon juice, and about 80 g (approximately 3 ounces) of gorgonzola until smooth. Season with salt and pepper. 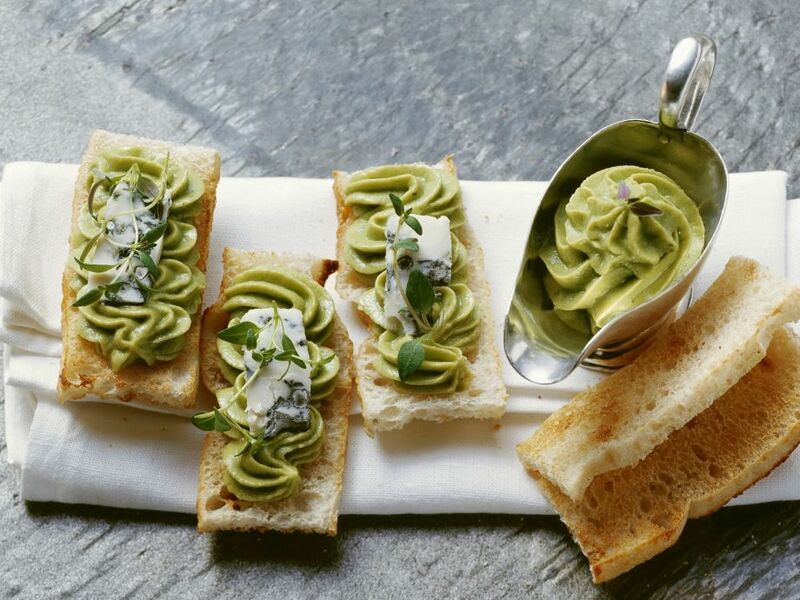 Spread or pipe the mixture onto the toast strips, sprinkle with the remaining gorgonzola and garnish with lemon thyme.